The 2017 WTA Finals tennis tournament for women players on the WTA circuit is taking place this week from October 22-29, 2017, on the indoor hard courts at the Singapore Indoor Stadium located in Kallang, Singapore. Here is a list of the prize money up for grabs for the women tennis players at the 2017 WTA Finals. The WTA Finals is the year-end championship for the top women tennis players in the sport. Only the top eight ranked women from the 2017 season are eligible to play in the WTA Finals and those eight women get to play for $7 million in prize money. The first half of the WTA Finals is played in round-robin format with the players divided into two groups of four players each. The top two women from each group advance to play in the semifinals and then the two semi winners meet in the WTA Finals match for the championship. There are set amounts of prize money for each finisher in the WTA Finals for the four players who make the semifinals plus all eight players also receive bonus money for each win in the round-robin portion of the tournament and each player also gets a participation bonus. Players get a bonus of $153,000 for each round-robin win they get plus a participation fee bonus of $151,000 for playing in three matches. The winner of the WTA Finals gets $1.75 million plus bonus money as noted below. The runner-up gets $590,000 plus bonus money and the two players who lose in the semis each get $40,000 plus bonus money. Barring injury, each player plays in three round-robin matches (worth $151,000 bonus). If a player gets injured and cannot play in three matches she will earn $130,000 for playing in two matches or $110,000 for just one match played. The eight women players in the 2017 WTA Finals are Simona Halep, Garbine Muguruza, Karolina Pliskova, Elina Svitolina, Venus Willims, Caroline Wozniacki, Jelena Ostapenko and Caroline Garcia. The winner of the WTA Finals is guaranteed to win at least $2.054 million but can also win $2.207 million or $2.36 million. That includes the first place prize of $1.75 million plus bonus money of $153,000 for each round-robin match win and a participation bonus of $151,000 for playing in three matches. Last year, Dominikia Cibulkova won exactly $2.054 million when she won the WTA Finals. 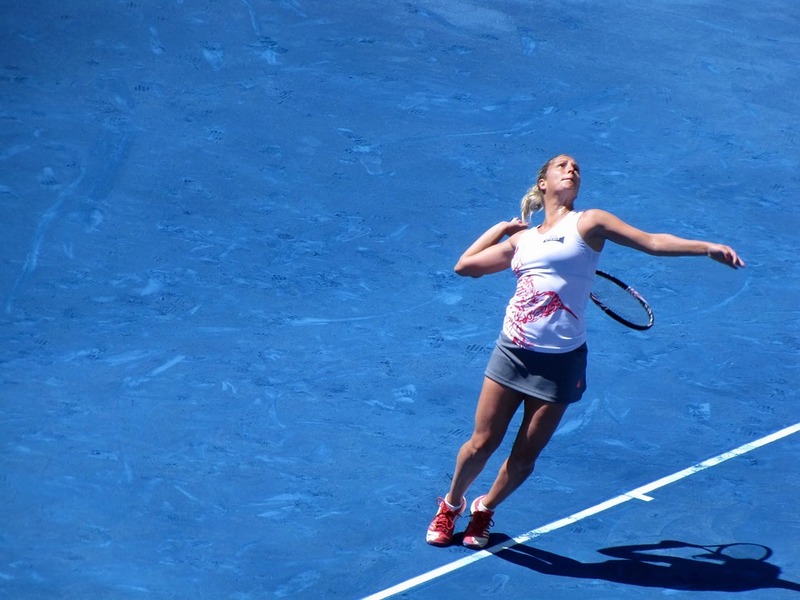 Cibulkova won only one round-robin match but it was enough to advance her to the semis where she won and then the finals which she also won. The most money the winner of the 2017 WTA Finals could win is $2.36 million. To get that number you simply add in bonus money of $459,000 for winning three round-robin matches plus the $151,000 bonus for playing three matches and then add the first place prize of $1.75 million. If the winner wins two round-robin matches she will earn $2.207 million. The runner-up at the 2017 WTA Finals will earn prize money of $590,000 for finishing in 2nd place plus bonus money for winning round-robin matches and a participation bonus. Depending upon how many round-robin matches the runner-up wins, she will earn $894,000 for one round-robin win, $1.047 million for two wins or $1.2 million for three wins. Last year, Agnieszka Radwanska won three round-robin matches ($459,000 bonus) plus $151,000 participation bonus plus $590,000 for being the runner-up for a total of $1.2 million. That is the most money that the runner-up can possibly earn in the WTA Finals. Players who make the semis will each get $40,000 for that plus bonus money for each round-robin win and the $151,000 participation bonus. Making the semis is worth $344,000 if the player wins once in round-robin play, $497,000 for two wins or $650,000 for three round-robin wins. Last year, both Agnieszka Radwanska and Svetlana Kuznetsova made the semis with two round-robin wins and they each won $497,000. The remaining four players who did not advance to the semifinals will each earn either $151,000 or $304,000. There is no extra prize money for players who do not advance to the semis, their earnings come from just the round-robin win bonus ($153,000 per win) and the participation bonus. If a player wins one round-robin match but does not advance to the semis she will earn $304.000. If the player wins no matches she will earn just the participation bonus of $151,000. Last year, all four players who did not advance to the semis, Karolina Pliskova, Garbine Muguruza, Madison Keys and Simona Halep, all won one round-robin match each. So all four women each earned $304,000 at the 2016 WTA Finals.